We just learned about the HMS Erebus Rockets. Another part of rocket science history is the book Jules Verne - From the Earth to the Moon. In the late 1800s the famous science fiction writers Jules Verne and H. G. Wells wrote books about things that might happen in the future like rockets or space travel. Because of some of these books, many other people came up with scientific inventions that helped make better science for how to shoot rockets. We just learned about the Westminster. Another famous palace is the Forbidden City built in 1420 AD in Beijing China. 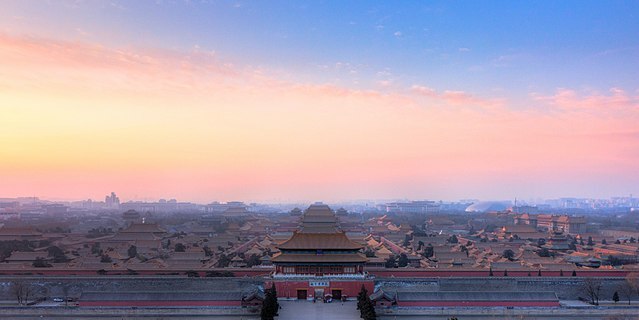 The Forbidden City was the home of Chinese emperors and their families for almost 500 years. It has 980 buildings with over 8,000 rooms, and covers over 180 acres of land. It took 14 years to build, and more than a million workers. Forbidden City is inside a larger walled city called Imperial City, which is inside a larger city called Inner City, and just south of Inner City is Outer City. It has a 26 foot high wall around the city, with a 171 foott wide moat that is 20 feet deep. There are towers at each of the corners of the rectangular city, and gates on each of the walls. Inside are almost 20 different large palaces, with the biggest one being the Hall of Supreme Harmony. All of the palaces have very nice names like Palace of Universal Happiness, and the Palace of Heavenly Purity. The palace had some tough times during wars, but now it is taken care of by the museum owners of China. We just learned about the Apostolic Age. Another part of early Christian history was the Split of Christianity and Judaism. Remember that Jesus was one of the Hebrew people also known as Jewish people. Some people even called him king of the Jews, and many of his followers were Jewish people. After Jesus died, people didn't think of themselves and Christians. They still believed in the things that happened long before, like the days of Abraham, Moses or King David. Some of them followed the teachings of Jesus, and others did not, but they did not think of themselves as Christians yet, they were just Jewish people who disagreed about Jesus. People even went to the same churches and sat next to each other for a very long time. Around 70 AD there were some wars that happened in the area, and some of the people in charge of the churches changed, and Christianity started to split out as its own different religion separate from Judaism. Remember that to say please or you're welcome in Norwegian, you say Vær så snill, Værsågod. 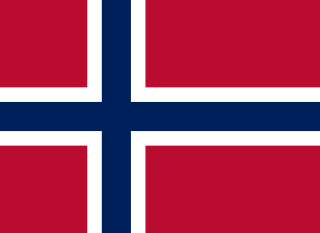 To ask if someone speaks Norwegian, you say Kan du norsk?. ASL: Do you speak ASL? We just learned about the Tooth - Cap Stage. Another part of a tooth growing is the Bell Stage. The tooth buds that grew into a cap shape keep growing and make more of a bell shape. Enamel and dentin have started to take shape, and the crown of the tooth has started to take the right shape. We just learned about the Moritzburg Castle. Another famous palace is the group of them in an area called Westminster. This is a city within London, England that has the Palace of Westminster, Buckingham Palace, Westminster Abbey and Westminster Cathedral. These are all very famous places, that are just down the street from each other. The Palace of Westminster is where the people meet that make all the laws for the United Kingdom, called Parliament. It is on the north side of the River Thames, and was built some time around 1000 AD. There are three large towers, and the one called Elizabeth tower has a big clock in it with a 13 ton bell called "Big Ben" that gongs for the time changes. Buckingham Palace is home of the royal family of the United Kingdom, like kings and queens. It was built in 1703 AD, and has 775, art galleries and large fancy gardens. Queen Elizabeth lives there and meets other world leaders like American presidents there. The palace is also known for its guards who wear red coats and have big fuzzy hats. The two large churches are also right on the street, Westminster Abbey and Westminster Cathedral. We just learned about the Catherine Palace. Another famous castle is Moritzburg Castle built around 1542 in Saxony Germany. It has four round towers and is built on an island. This castle is in the middle of a forest area, so there are a lot of hunting trophies like a room full of deer antlers. We've learned about the list of Seventy Disciples. Let's learn a little bit about Christianity after Jesus. Jesus died on the cross, but then what? The apostles went around and told people about Jesus, and then for thousands of years people talked to each other about Jesus! Let's keep learning about what happened after Jesus and the Bible.